What If You Have Asian Roots? Home > Ancestors Abroad > What If You Have Asian Roots? When researching family trees for those with roots in India and Pakistan, it’s worth remembering that there are two strands involved. The first is the obvious one – people whose ancestors are Indian or Pakistani (and remember, the Partition that created Pakistan only occurred in 1947), but there are also those British families who’d settled there, and possibly lived there for generations, moving home after Indian independence, which was also 1947. The latter thread is easier to research, since the British were avid record keepers, and spent a long time in India. Many British stayed on to enjoy the Raj, and would have had some association, at some point in their careers, with the Army, governing the country, or with trade. 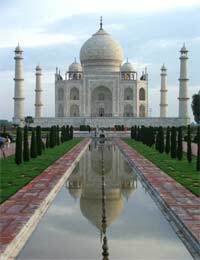 For anyone whose family was in India for a number of years, possibly even a few generations, there are wonderful and fairly complete resources available online, with material dating back to the late 18th century, including burial, marriage and baptism records, which can be found online at the Family History Centre (also known as the International Genealogical Index). Approximately 80% of all life events were documented by the church. There are also a couple of surname registers, the 1851 Bombay (now Mumbai) census, as well as a list of emigrants from Scotland to India during the 1800s. One little-known facet of life is that some soldiers, convicted of crimes, were transported from India to Australia to serve their sentences in the 19th century. One resource that’s well worth recommending is Cathy Day’s exhaustive Family History in India site web.archive.org. It’s as close to a complete guide as you’re going to find, with links to many collections, including those for different occupations. For those in trade, they’d probably have been listed in Thacker’s Directory, a very full collection of which is housed in London. For those of Indian (as opposed to British-Indian) ancestry, things are a lot trickier, as there were no official records of birth, marriages and death. Obviously, the more information you have when beginning your search, the better. Ideally you’ll have the names of your grandparents and their home village or town as a starting point. If your background is Hindu, you might well be in luck. There actually are genealogy registers of Hindu families, which were maintained by the pandits, or priests, at Hardiwar. Whenever the family would visit the shrine, which was used for death rites, the pandit would update the family history, which in some cases can go back a full 20 generations (far more than you’ll find in most British family trees). Nor is it just in Hardiwar – there’s something very similar in Bihar, where others recorded the genealogies of families. In Hardiwar, at least, those records have even been cited in court cases, making them exceptionally authoritative. What’s especially interesting is that going back several generations, some Sikhs or Muslims were originally Hindu, and their family records are in the collection. The good news is that the records were put on microfilm, beginning in the late 1970s, and those microfilms went to the International Genealogical Index, meaning many have been transcribed and are available online, as a records from Hindu families in other regions of India. It’s worth remembering that Pakistan, as such, is a very young country. For centuries it was part of India, only becoming Pakistan, an independent Muslim state, in 1947. Sadly, that doesn’t help anyone looking into family history. There are very, very few resources online for Pakistan itself. I do have an Indian background (my mother's parents -my grandmother was English and my grandfather was a Hindu from Lyallpur).He held the position of Prime Minister in the Princely State of Alwar from 1917 until 1933 working for Maharajah Singh. I have done a considerable amount of research including hours of research at The British Library in London where the India Office records are held, but have hit a brick wall in terms of finding any living relatives in India or where and when he died. I would love to find out more about his background and his family history in India. Can anybody give me some help or advice?